Debt consolidation can help you reduce your overall debt by transferring the amount you owe into low-interest or zero-interest loans or credit cards. This is not debt forgiveness, but a strategy to reduce the amount of interest you are paying on your outstanding debt to reduce your monthly payments. For many families, debt consolidation makes sense. Mortgages continue to lead as the biggest loan debt with an average of $184,417 owed per household, followed by student loan debt at $47,671 owed, auto loans at $28,033 owed, and credit card debt at $6,929 owed per household. Mortgages, student loans, and auto loans generally have fixed payments, so the monthly costs are predictable and can be calculated in the family budget. Credit cards are revolving debt, and monthly costs vary based on the balance on the credit card and the interest rate charged. It’s the increase in revolving debt that usually triggers a decision for debt consolidation. It’s easy to rack up credit card debt. Credit cards make it easier to make purchases, including household necessities such as groceries and gasoline, but if you don’t pay off the balance at the end of each month, the debt mounts quickly. The average annual percentage rate (APR) for credit cards is 17.55%. That means you pay an additional 17.55% on any outstanding balance on your card. To gain control of rising credit card debt, many people use a credit card balance transfer. There are many credit cards available that offer extremely low or 0% interest on balance transfers, so it makes sense to move the balance from a high-interest credit card to a low- or zero-interest card. When considering balance transfer options, be sure you understand the terms of the low interest credit card. Many balance transfer cards offer special rates for a period of time, typically 6-18 months, after which interest rates could be substantially higher. Also, be sure you know what transfer fees apply. Transfer fees typically range from 3-5%. Many banks and credit unions offer personal loans at interest rates that are substantially lower than credit card rates. With a personal loan, you can reduce your monthly payments and have a substantially longer period to repay the loan. To qualify for a personal loan, however, you need to have good credit. Since a personal loan is an unsecured loan (i.e., the only guarantee of repayment is your promise to pay), your credit score will determine how much you can borrow and at what interest rate. When applying for a personal loan, be sure you understand the terms of the loan, including the interest rate, any application fees, and terms for late payments. Rather than a personal loan, you often can get a better rate with a secured loan where you have collateral to support the loan. For example, homeowners often use their property as collateral and use a home equity line of credit (HELOC) for debt consolidation. A HELOC is basically a second mortgage on your home. 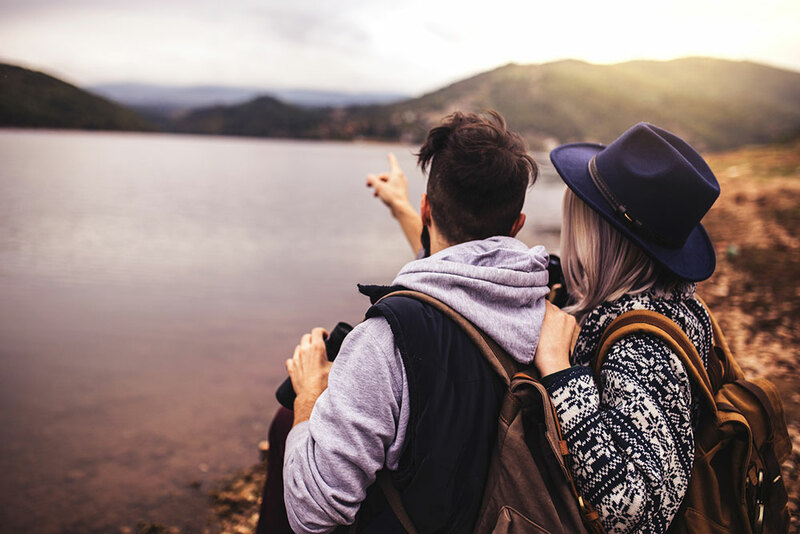 It has the same advantages as a personal loan—lower monthly payments at a fixed interest rate paid over a longer period of time—but you typically get an even lower interest rate. Whereas most mortgages are repaid over 30 years, HELOCs usually range from 5-20 years. The risk of using a HELOC for debt consolidation is if you default on the loan or fall behind on the payments, you could lose your home. If you have enough equity in your home, you might consider refinancing your mortgage, cashing out the equity to pay your debts. You will usually get a lower interest rate with mortgage refinancing, and the lender often will pay the closing fees. Before refinancing your home, you should consider the impact on your long-term financial plans. For example, will resetting 30 years of mortgage payments affect your savings? Is your home likely to appreciate in value? Will you still have enough for retirement savings? Also, be sure that refinancing your home doesn’t have an impact on your credit. You don’t want to borrow more than you have to, and your new mortgage should have a loan-to-value ratio of 80% of the value of the home or less. One of the most important aspects of debt consolidation is changing your spending habits. Consolidating debt is valuable only if you can keep from accumulating more debt. Be sure to develop a comprehensive household budget and consider the impact of debt consolidation strategies before you decide where to start. Your credit union can help. iQ Credit Union has a wide range of credit card, personal loan, and home loan options. We can help you tame your debt. 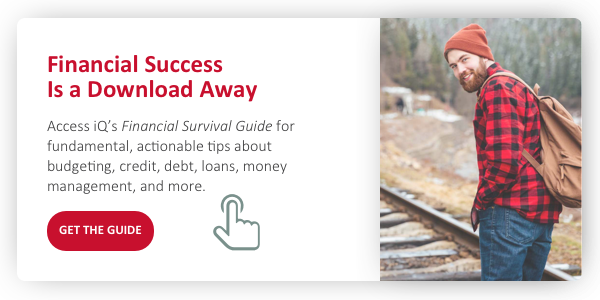 Start with our Financial Survival Guide or contact us to get started.